It all started in 2079 with the three of them. First there was the general, who wasn’t about to let something as trivial as a fatal illness interfere with his plan to take over the Federation of North America. Then there was the boy, who loved robotics and games, but was crushed by a robot run amok. And finally, the girl: being groomed by her wealthy and influential father for business success and political power, she was cut down in a freak car accident. The general, getting his wish to be made robotic, toppled the provincial government of Foredan on his way to taking on the rest of the Federation. The boy’s father, clinging to his last emotional connection with his late wife, put his son’s soul into a memorial robot, which got tangled up in the general’s machinations, and fell into the hands of the renegade Followers of the Anointed One. The girl, roboticized at her influential and wealthy father’s expense, threw her lot in with the general’s scheme in opposition to her father, intending to ride the general’s coattails to the power she craved. None of them counted on the Prophet, hiding like a deadly snake in the grass, waiting for the right moment to strike; and when he did, they found themselves together, on the run from the New Order. 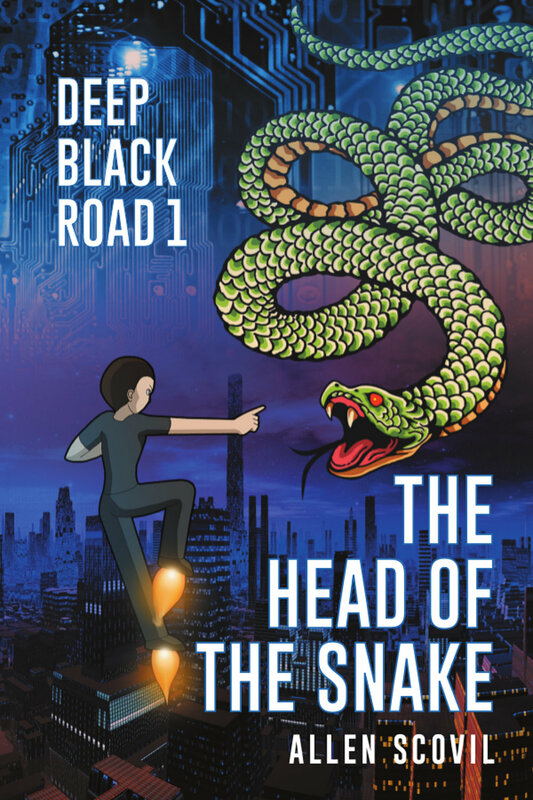 Can the boy, having been granted a ‘great and terrible’ destiny when he hovered between death and life, be able to find his way to it … on the Deep Black Road? This is the second book in the Deep Black Road series. In 2080, a robotic child is begotten; and when merely weeks old, it experiences first-hand the battle with dark spirits, as around it a great evil consumes the world of the carnate humans. As an adult, it is unable to follow its fellows out into the galaxy; so it wanders alone as an alien in a world of short-lived and forgetful people, working tirelessly to counter the schemes of those dark spirits. However, after nearly five hundred years, the spirit of darkness that was the source of the ancient disaster raises its ugly head once more in the heart of the kingdom of Liberation. The robot child, joining forces with a young man who has escaped the kingdom’s system of slavery, seeks for a way to stop the sudden resurgence of the dangerous technologies of the past at the hands of the king, Father Abraham; but they come too late to counter his growing power on their own. As they flee for their lives, who can they find who'll be able to help them, in a spiritual war where their enemy controls half a continent?